On December 11, 2013 the Centers for Medicare & Medicaid Services (CMS) published an advance notice of proposed rulemaking concerning the circumstances under which civil money penalties may be imposed for failure to comply with Medicare Secondary Payer Act (the “MSP Act”) Section 111 reporting requirements. Section 111 of the Medicare, Medicaid, and SCHIP Extension Act of 2007 amended the MSP Act by establishing mandatory reporting requirements for certain group health plans (GHPs) and for liability insurance (including self-insurance) no fault insurance and workers compensation (collectively NGHPs) arrangements. The Section 111 amendments require GHPs and NGHPs to notify CMS when they pay a claim on behalf of a Medicare beneficiary. Failure to comply with the reporting requirements resulted in a civil monetary penalty of $1,000 for each day of noncompliance. The Strengthening Medicare and Repaying Taxpayers Act of 2012 (the “SMART Act”) amended the penalty provision of the Section 111 reporting requirements by stating that applicable plans that fail to comply with the reporting requirements may be subject to a civil monetary penalty of up to $1,000 per day of non-compliance. Thus, the SMART Act made the penalty discretionary instead of mandatory and allowed for penalties below $1,000. As a result, CMS is soliciting public comments and proposals on the practices for which civil monetary penalties may or may not be imposed. 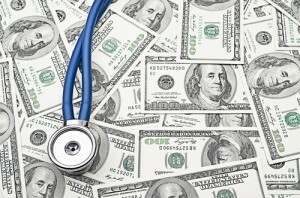 Specifically, CMS is seeking comments on how to define “noncompliance” with reporting requirements; what mechanisms and criteria should be used to evaluate whether a civil money penalty can be imposed; what methods should be used to determine the dollar amount of such a penalty; and what actions on the part of a primary payer would constitute a “good faith effort” to identify a Medicare beneficiary for purposes of reporting under the MSP Act. Comments can be submitted to CMS until February 10, 2014.